In Pet Rescue Puzzle Saga, you’ll get to rescue cute animals who have been captured by evil pet snatchers. Pet Rescue Saga is a puzzle game, which involves matching symbols, in order to rescue cute animals such as pigs, hedgehogs and birds. To discover a few key reasons why you may want to download Pet Rescue Saga, simply continue reading! 1. There are dozens of different types of animals to rescue. The further you progress through Pet Rescue Puzzle Saga, the more animals which you’ll unlock. Expect to see cute bunnies, puppies and kittens, within a day of playing. 2. There are more levels added to Pet Rescue Puzzle Saga on regular basis. New levels are added to Pet Rescue Puzzle Saga every two weeks. So you’ll never run out of levels to play! 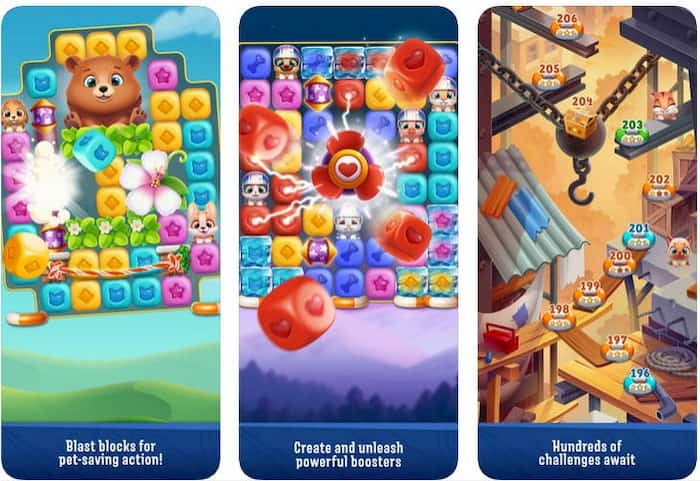 Currently there are hundreds of levels which have been released, to tackle and conquer. 3. It offers unique challenges to master. While the first few levels may be easy to beat, you’ll soon find that new levels will feature unique challenges, which you’ll have to work hard in order to master. As an example, you’ll have to find out how to rescue pets from locked cages and how to use exploding bombs to your advantage. In order to rescue as many cute animals as you can. 4. You’ll be able to climb up Pet Rescue Puzzle Saga’s international leaderboard. Even if you don’t think that you’ll feature in the top 100 international competitions, you’ll still be able to see how you rank against your friends who also play Pet Rescue Puzzle Saga. 5. There is a mysterious mountain, which you’ll be able to explore on weekends. Mysterious mountain offers extra levels and challenges which you can take on during your weekends. 6. You’ll become a better problem solver as a direct result of playing Pet Rescue Saga. 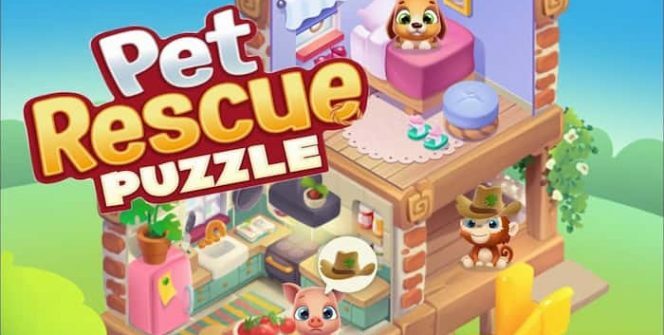 As Pet Rescue Puzzle Saga qualifies as a brain training game, you may find that you’ll be able to train your brain to focus and solve problems quickly. So if you’re looking to play a game which will actually help you out in your everyday life, it’s well worth playing Pet Rescue Puzzle Saga for PC each day. 7. The longer streaks you create, the higher your score will be. In order to beat your high scores or to beat your friends’ high scores, it’s well worth challenging yourself to create lengthy streaks. By tapping large groups of matched items at once. As you’ll receive huge bonuses when you create long streaks. 8. There are numerous power-ups which you’ll be able to use if you get stuck. Once you’ve beaten a hundred levels, you may find that beating levels is a whole lot trickier than it used to be. If you replay a single level multiple times and find yourself stuck and unable to progress to the next level, simply use carefully chosen power-ups to give yourself the advantage which you need to complete the level which you’re stuck on. So if you’re looking for puzzle game that offers hundreds of levels and adorable characters, you’ll fall in love with Pet Rescue Puzzle Saga! Sometimes when playing Pet Rescue Puzzle Saga, bluestacks ask you fee to pay but gives you option to download some apps. Every time it asks you just select “Install apps” and continue using it free. I hope you enjoyed this article, please rate and share. 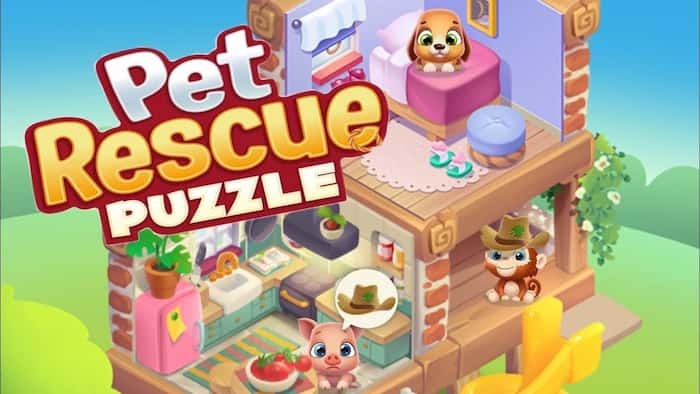 If you have problems running Pet Rescue Puzzle Saga on your desktop or any other issues, leave a comment below.